Goku: "Alright, let's fight, sort of!" Frieza: "I live for revenge! So let's warm up first." Goku: "I guess I'm kinda angry?" Vegeta: "Stop wasting time! The episode is going to run out!" Goku: "Ok then, dramatic transformation time! Your turn." 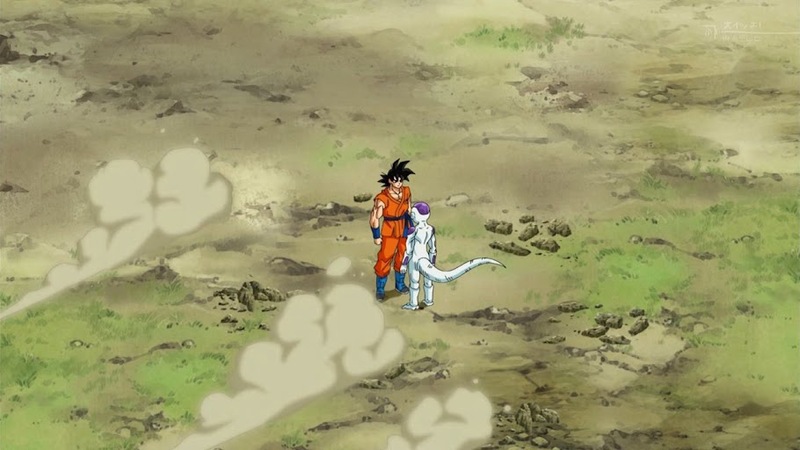 Frieza: "Too late, episode's over."